DD Free dish is India's one and only FREE dth service by Prasar Bharati, Doordarshan. DD Freedish at this time have above 80 television channels including doordarshan and private TV channels. 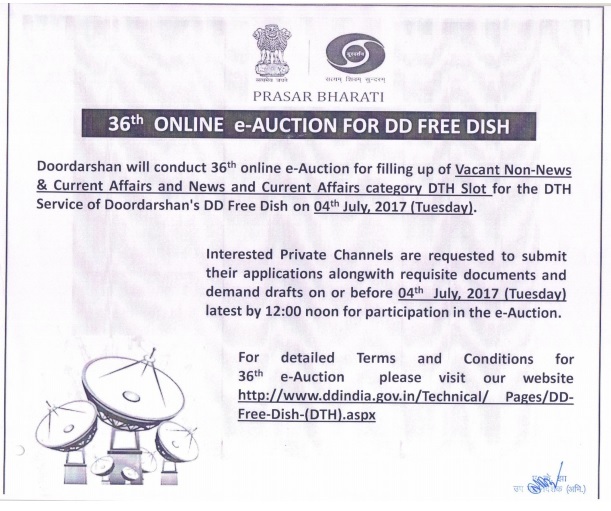 Recently DD Freedish announced for 36th e-auction for vacant slots on DD Freedish, in this e-auction 11 TV slots won by private TV channels. Till update Star Utsav and Star Utsav movies also renewed its slot for a year. We will also information you once we get information about other 9 TV channels who won the slot. Who post this news improve your English "We will also information you *...." or we shall inform you.... And this news was fake.